﻿ Wiltshire Rose > Books > Whose England? hose England is devoted to the men and women who created and consolidated the independent, English nation. The book describes the country's Anglo-Saxon origins, beginning with the courageous mission of St. Augustine who, in the 6th century, brought Christianity to the pagan, 'Land of the Angles'. This is an unusual piece of work in that it incorporates the biographies of people who have largely been forgotten such as King Alfred the Great and St. George, the Patron Saint of England. Alfred is introduced as a towering, historical figure; his incredible courage and greatness of soul are identified as early examples of the peculiarly English character. The advent of William the Conqueror began the succession of 35 Kings and 7 Queens following the defeat of Harold Godwinson at the Battle of Hastings in October 1066. The exceptional cruelty exercised by William I during his volatile, 21 year reign is detailed in his biography and linked to the violence and brutality of his early years. The reign of Richard III was highly significant in England's history because it marked the end of the medieval period. Richard's monarchy, bedevilled by violence and betrayal, was the last phase of the turbulent Wars of the Roses. The Tudor dynasty, which held power in England for 118 years, brought stability, cohesion and a massive cultural flowering. The dignity of Henry VII and the magnificence of his son Henry VIII have been given particular attention. Henry VIII is probably the most talented man to have sat on the English throne; his personality and his unique abilities are often dismissed as irrelevant but despite his manifest faults, it was Henry who consolidated the independent but isolated Sovereign State of England that is familiar to us today. The tragically brief lives of Edward VI and his cousin Lady Jane Grey are explored next. 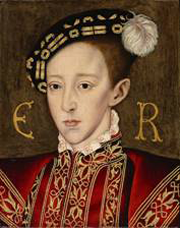 The book suggests that if the precocious talents of young King Edward and of Lady Jane had been given the opportunity to flourish, the teenagers might well have become great leaders of their people. The troubled personality of 'Bloody' Queen Mary I is analysed. Her lonely and traumatic upbringing resulted both in exceptional courage and in fatal stubbornness. The antecedents of Elizabeth I are truly astonishing; the fact that she survived and ruled for 44 years is a tribute to her robust health and her tremendous strength of character. Her life, including her extraordinary childhood and her glorious reign are given special attention in this book. It can be seen that in many ways, her personality and achievements mirrored those of King Alfred the Great because she gave the English people a sense of nationhood. The book concludes with the biographies of three men who helped make the Court of Elizabeth I the most famous in history; William Shakespeare, greatest poet of his or of any time, Lord Burghley, the prototype of the 'Mandarin' and his son Robert, fragile in health, indomitable in spirit, who was, in his own way, our first master spy. These are the people who made England.